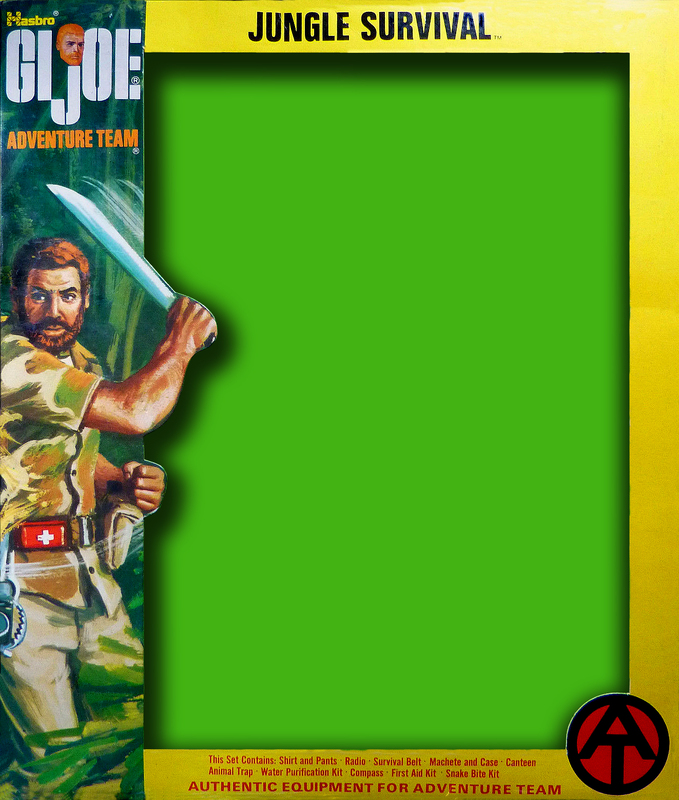 I’ve been on a kick lately of restoring packaging, particularly for 70s lines like Adventure Team and Big Jim. I’ve also been looking at knock-offs whose cards haven’t stood the test of time too well. Here’s the AT Jungle Survival set. I find these boxed outfit sets visually interesting even after you knock out the actual product. It makes for a pretty stark package, but I think the dynamic art on the left hand side sets it off nicely. Less is more. He’s kind of Outback meets Recondo. Love the mini bear trap on his belt.